This vine is native to Sicily and is also known in Sicilian dialect a Calavrisi or Calaulis which derives from the Sicilian word "Calea" meaning grapes and Aulisi which is the original name for the town of Avola (from which Nero d'Avola derives). 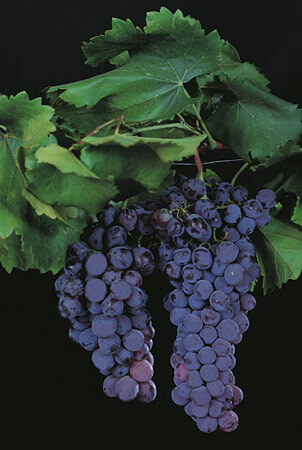 Although it is now grown all over the island, it is best suited to the loose and sandy soil structure of South-East Sicily, especially in the area of Vittoria (RG) where it is blended together with Frappato to produce Cerasuolo di Vittoria D.O.C.G., which is noted for its density and ageing qualities. The wines are full-bodied, perfect levels of tannin their delicate hints of red berries. Frappato of Victoria is a native cultivar of south-eastern Sicily and of uncertain origin. It is possible that it was introduced by Spanish as it is mentioned by Sestini in his memoirs of circa 1760 when desctibing the wines of Victoria. It is found mainly in the province of Ragusa and Siracusa and is generally blended with Nero d'Avola. It is not widespread in other Sicilian provinces. The grapes produce an excellent light but bright ruby-red wine with fruity and floral overtones. It is medium bodied with well balanced tannins, fresh tasting and soft – totally in harmony. Traditionally in the area of ​​Vittoria it is blended with Nero d'Avola to produce Cerasuolo di Vittoria DOCG which is characterised by its typical notes of cherry and red berries. 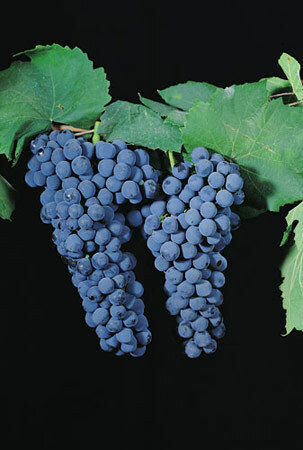 The Grosso Nero grape is a native variety of south-eastern Sicily and is suitable as a table grape thanks to the size of its bunches and grapes, which make it less suitable for making wine. In the past it competed alongside Nero d'Avola and Frappato to produce the blended Cerasuolo. Today this is no longer possible and so it use is less widespread. However, the Poggio di Bortolone Estate owns some strains in order to protect from extinction due to the decline in cultivation. 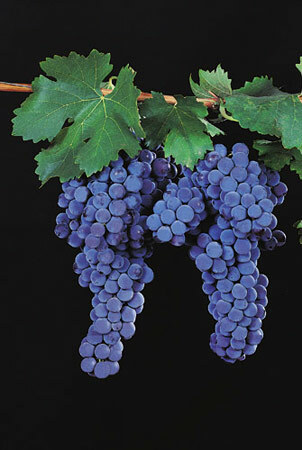 This grape is thought to have originated in the Middle East based on the name of the Persian city of Shiraz or possibly Syracusa where newly identified strains have been found. Since the time of the Roman Empire, this grape has been grown and used for the production of wines in the Rhone Valley between the towns of Valence and Vienne. The Syrah produces a rich and complex wine strong in personality and flavour component. It requires a number of years of ageing to give to show off its best qualities. The Syrah grape is ideally suited to Sicily's excellent climatic conditions which has earned it a place of honour amongst the elite of the Sicilian wines. It is characterised by high concentration, softness, density of tannins and is often enhanced by the skilful use of the ageing properties of wood casks. It is renowned for its spicy taste, hints of wild berries (especially blackberries and plums) sometimes accompanied by balsamic notes of licorice, cocoa and coffee. 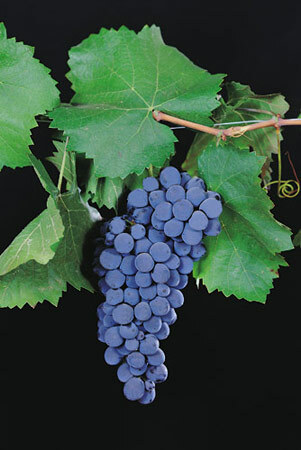 This typical grape of Bordeaux dating back to the seventeenth century is now cultivated in many Italian wine regions. According to some, its origins might derive from the biturica vine which was praised by Pliny in classical times and possibly introduced to the region by the Roman legionaries.  It is also possible that its orgins can be linked also to the Petit Vidure or Vidure (hard lives). 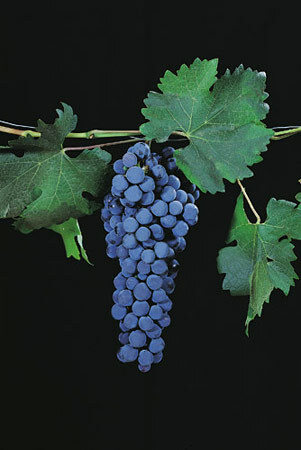 However, some say the Vidure is synonymous with another grape of Bordeaux, Carmenere which has now almost disappeared. Based on recent botanical studies it has been suggested that the parents of Cabernet sauvignon might be the Sauvignon Blanc and Cabernet Franc. In Sicily it is perfectly acclimatised, and thanks to the dry and hot summers can produce very colourful wines characterised by hints of pepper, good acidity and structure and a high levels of tannin all of which makes this wine particularly suitable for ageing. 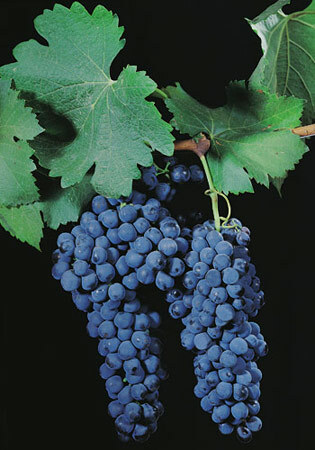 The Petit Verdot is a grape variety native to the area of the Médoc in France, where it is used in varying proportions to produce some Bordeaux. It is a very demanding vine to mature so that often its best potential is realised far away from its place of origin. It was introduced to the Poggio di Bortolone Estate via an experimental research project in the mid 1990's. In Sicily the harvest is ripe for picking from around the beginning of September as opposed to France where it is not ripe until mid-October. Because the characteristics for which Petit Verdot is renowned require time to mature, the best results are achieved in areas with warm, very sunny, steady winds and minimal rain during the growing stages. The wine is ruby in colour, bestows intense fruity, floral and spicy flavours, and yet has soft and velvety tannins which enhance the grapes unique qualities.